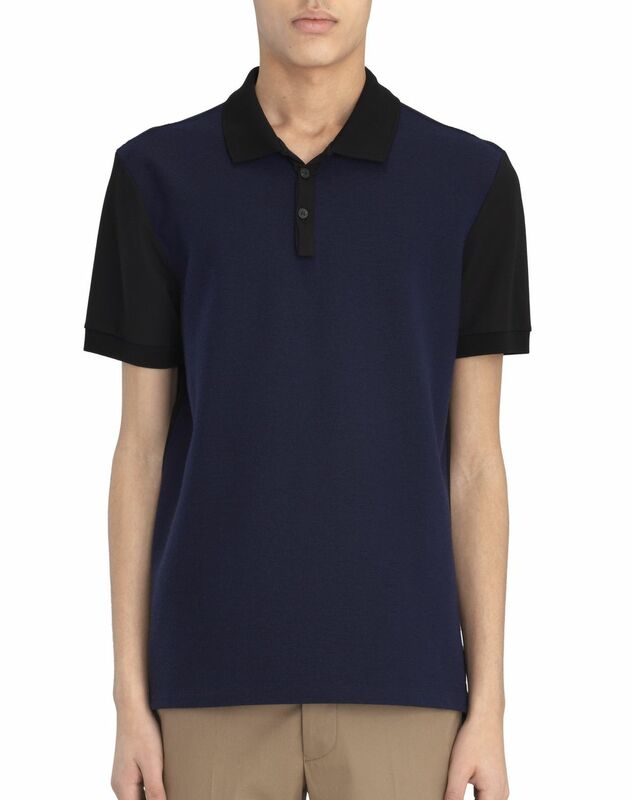 Short-sleeved polo in two-toned mercerized cotton jersey, front in blue jersey, contrasting black small collar, button placket, sleeves, and back. 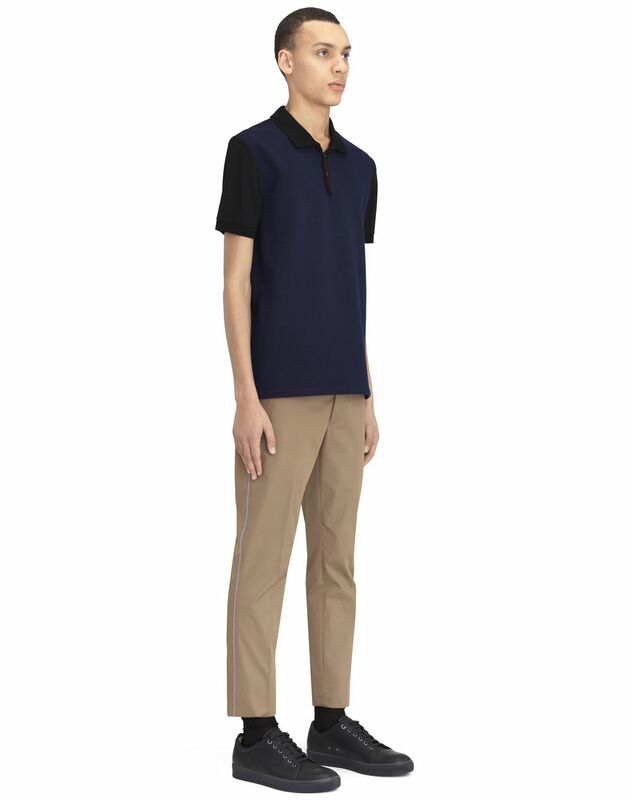 This polo—a male wardrobe staple—stands out for its contrasting colors. 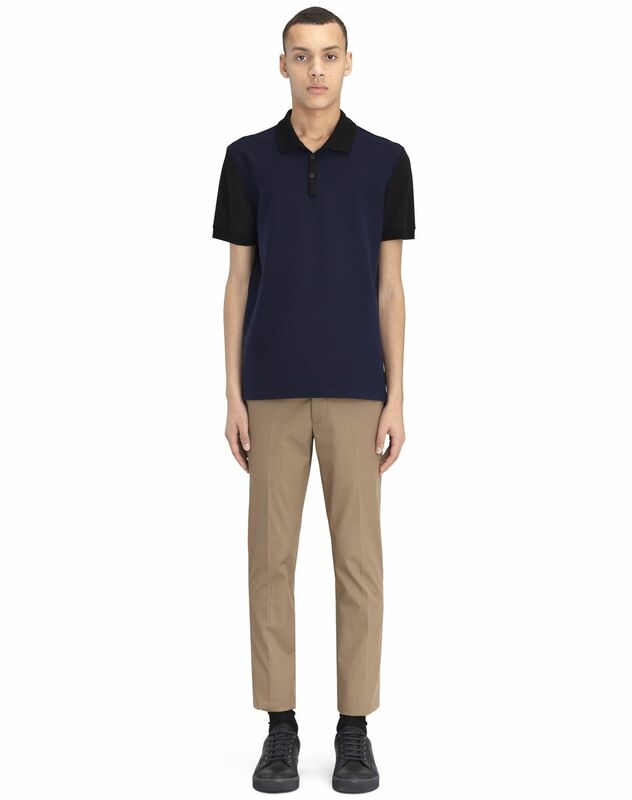 The two-toned aspect highlights the silhouette and provides an elegantly modern look. Main material: 100% cotton knit. 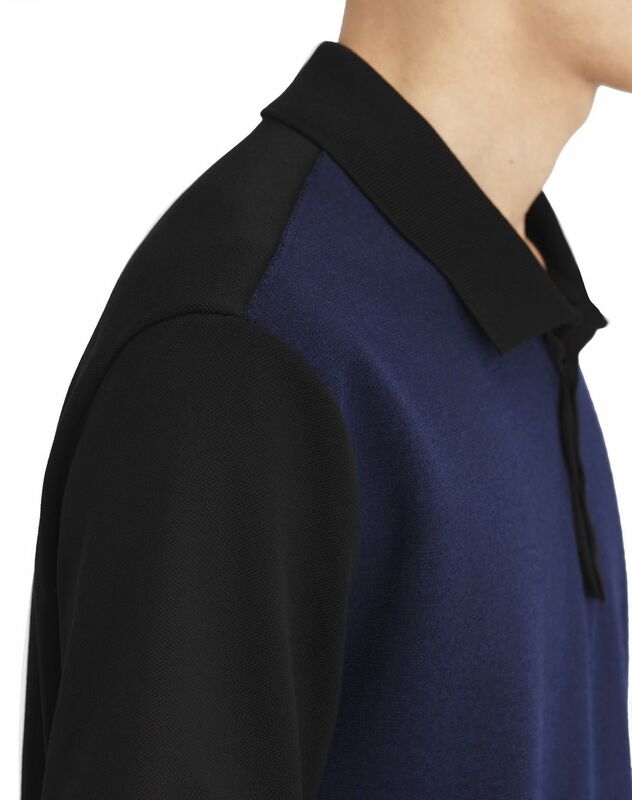 Secondary material: 82% wool knit, 17% polyamide knit, 1% elastane knit. 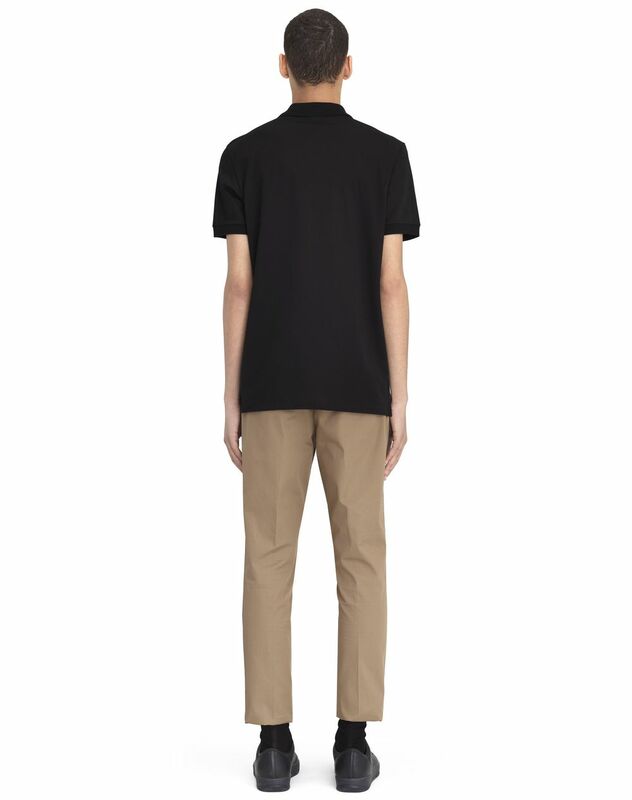 Model's measurements: Height: 185 cm Chest: 83 cm Waist: 72 cm Hips: 89,5 cm Model wears a size S. Made in Italy.